There is quite a substantial amount of office space going in along the eastern waterfront. With two big companies now in the neighborhood (WEX and Covetrus) as well as great ocean views and proximity to the Old Port, I think the eastern waterfront has potential to become a mini version of Seaport in Boston. I'm curious to see if any big companies move in to fill all this space. I'm curious to see if any big companies move in to fill all this space. I have to openly wonder if there are any local "big" companies left to move there. Unum is consolidating on their Portland campus, having moved out of their original "HO1" building (big glass building next to the turnpike), which they are renovating and put up for lease. IDEXX seems very committed to their campus in Westbrook with their big on-going expansion. Tyler Technologies just completed a big expansion in Yarmouth a year ago. Many of the bigger insurance companies in the mall area are locked into long-term lease situations (Disability RMS, Sun Life, Hartford/Aetna, etc.). Maybe someone like a Woodward & Curran or a law office could be looking to relocate from the periphery of the city? Seems more like that any office space would be better set up to accommodate multiple tenants. Last edited by Dr. StrangeHat; 02-12-2019 at 08:18 AM. What Portland really needs is to lure a NEW big company to set up shop. With existing global companies that are in the midst of expanding, and high quality of life. It isn't too unrealistic to assume that a high-profile company could be persuaded to call Portland home. (3) Maine has almost no leverage when trying to lure companies here. The last point is key. We could go all-in and try to lure a business here, but at what cost? We'd probably have to drop our pants and bend over for those companies, and at that point are we still bringing economic value to the region? I've been saying this for years - Maine (and more so Greater Portland) needs to work better on becoming an incubator for new tech and bio companies (like it has been for the likes of IDEXX and Covetrus), as well as embracing it's position as a group employee benefits/insurance epicenter. Luring a company here is just far too costly overall, economically speaking. At the same time, Maine needs to embrace the growing "remote worker" aspect of our economy. There are many people that have historically desired the "Maine quality of life" but have passed up the chance to move here over the fact that their occupation didn't allow it. That is quickly becoming a non-factor, and Maine (and Portland in particular) would do well to attract more remote workers, or telecommuters. But doing so would require attracting more co-working space to the city. All very valid points, Maine is in a difficult position when it comes to attracting larger companies, but Portland is a bit of a special case compared to the rest of the state. There is quite an abundance of young entrepreneurial talent here compared to places like Manchester and Burlington, and we have an existing base of large companies attracting skilled workers. With so much new office space in the works along the eastern waterfront, commercial st. , and Rock Row in Westbrook, bringing in out of state businesses is absolutely necessity for those projects to get off the ground. Portland will continue to be positioned for phenomenal growth. The trend today is to live in urban areas with numerous attractions (Portland), and to not drive cars (how do younger people, the future of people, use their phones?). The Boston to Brunswick tether is key, and Boston will -- or already is -- one of the most important cities in the world. The main reason is tech which is fueled by access to talent. For example, aircraft giant Boeing is building a very cool 17 story building across from MIT. What for? It's primary design and tech center (a cutting edge wind tunnel). Amazon is putting 2,000 workers (cloud computing, A.I., robotics) in the Seaport, and it goes on and on and on. The Chinese send their kids to Thornton Academy (300 Exchange Students at 36K each--do the math) because the families ALL want them to get into either Harvard or MIT (I have many Chinese friends and they tell me this). Thornton is a nationally recognized STEM school now, and a short walk to the train becomes a fun and easy day trip to Boston to scope out the colleges. So, Boston is a simple, relatively quick, smart phone and laptop using, train ride away from Portland. Unfortunately, the rest of Maine is dying a slow and quiet death (except for Bar Harbor). Last edited by TC_zoid; 02-14-2019 at 09:00 AM. I wouldn't say that. The Kittery to Bar Harbor coastal zone is doing fine. There are many developments and success stories along the coast going North to MDI. Brunswick, Boothbay, Rockland, Belfast, Bucksport, Ellsworth.....all have developments, projects, and successes that can sustain their growth. There are also "pockets" inland that are doing OK. Waterville has been infused with $300 million in construction projects thanks to Colby College. Seriously guys...I know that this thread is all about Portland. But check out Downtown Waterville and Colby's campus....it's crazy. Bangor has seen an uptick in investment. In fact Bangor Savings is about to open their $35 million campus headquarters in Downtown Bangor which will bring 300+ workers to the heart of that city. But yes....it is rough in many inland areas. These outlying areas in Maine will need new workers to sustain this relative growth, and that will mean more immigrants, or "people of color." Maine's white birth rate is 1.6. It requires 2.2 to sustain a population, so a more aggressive approach needs to be taken to bring in people (many reports have been issued on this economic problem). I don't see it happening outside the Boston to Brunswick corridor, which has comfortable, convenient mass transportation. Many places in the summer season bring workers in for the summer, and even then, can't get enough. I like Colby, but Waterville is just too far north (and inland). I don't see people going there outside of the college. It's "relatively crazy." Portland, Biddeford-Saco, and Wells are now within commuting distance to Boston. Heck, I know people who live in Staten Island who commute 2 hours into mid-town. 2 hours is nothing today in a train, provided you have a smart phone or laptop. So, in a way, Boston to Brunswick is comparable to the NYC to New Haven tether. A million people live within that who commute into Manhattan every day. If I was a developer, I would build nice housing near the train station and turnpike ramps in Wells. 90 minutes to Boston on a pleasant train -- not bad (or 60 minutes by car to Logan). Last edited by TC_zoid; 02-15-2019 at 09:46 AM. The two buildings look roughly the same height, but the eastern one has only 4 stories while the western one has 5; my hunch is that the one on Center Street will be condos, while the one facing Cross Street will be offices with higher floor-to-ceiling heights. Disappointing that they couldn't build higher on this location, given how it won't block anyone's view, but that's the zoning height limit for this block so there you have it. Still a huge improvement over the massive surface parking lot that's there now. "The hotel is considered part of Phase I of the ‘Portland Square’ Master Plan, which as of yet, has not been submitted for review. It is anticipated that the master development plan will be submitted within the first half of 2019, and will be brought to the Planning Board for a workshop shortly thereafter." Very nice and I hope it all materializes because that huge parking lot has been vacant for too long. The wide stairs on the east end of the building which lead to a small park is an excellent touch. Am really curious about future plans for 3 and 4 Portland Square where we may eventually get some height. I think the Spring St parcel is zoned for 135'. 16 unit 3-story condo building at 10 Hammond St. in East Bayside. Replacing an existing single-family home. Last edited by Cosakita18; 02-25-2019 at 03:48 PM. I was in Portland last week and noticed ground work on the old Deering Lumber yard lot. This project will be a nice addition to that end of Commercial Street. Any word on the adjoining WEX garage and Verdante condos? On a sad note, a very sad one, decided to motor on over to Bayside to go to Whole Foods, taking the “scenic” route. I went past Preble Street Resource Ctr with its “clients" walking aimlessly on the side of the road, and an obviously intoxicated woman (with stitches on her forehead) tried to jump on the hood of my car. I guess it was her way of welcoming me to Bayside. Over at Oxford Street Shelter, it looked like a scene from an “end of the world” themed movie. Then it was down to Somerset Street for the right turn to WF, driving past dirt lots and scrap yards. I don’t get this kind of tour when I drive around in Boston. Portland appears to be two cities within the peninsula’s three square miles. It’s embarrassing, these two Portland’s. Does city Gov. realize how bad this looks? I guess not. Last edited by TC_zoid; 03-16-2019 at 04:28 PM. Well, the Midtown project would have addressed some of the depressed portions of Bayside and we all know how that turned out. A new 7 story residential building is about to break ground at Oxford and Chestnut which should add some new vitality into that area. The Oxford Street shelter is going to be closed eventually with a newer and much larger shelter being built on one of two city owned sites assuming the Commercial Street lot gets eliminated. That means the shelter will be located on the west end near the county jail or in an industrial area on Riverside Street. This should resolve some of the homeless/vagrant issues in the downtown core. Word is that the Preble Street Resource Center will also be closed which will improve the Portland Street area. The Verdante condos had revision to their plans which required planning board approval and I hear that construction will begin this summer. 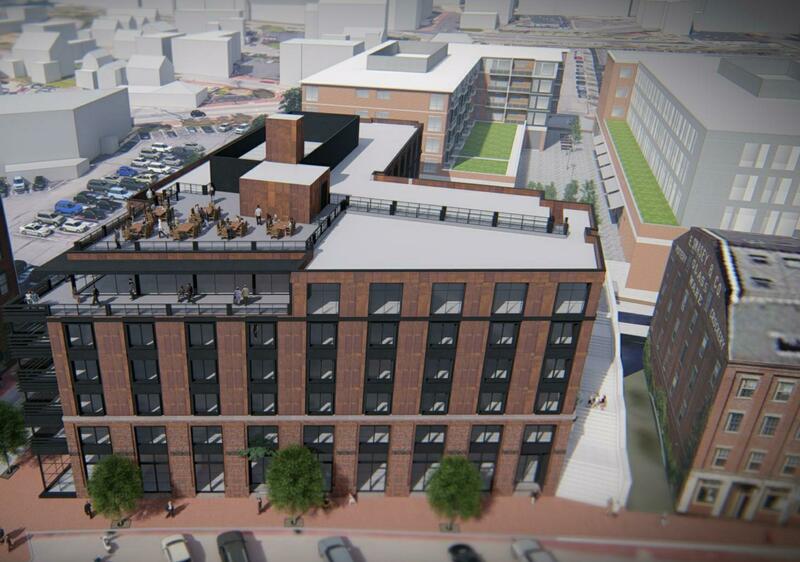 Not sure about the Fore Street garage/office project, but the Covetrus Headquarters and Hancock Street "brew" hotel are well underway. Have not been to a city yet that does not have a rundown/depressed/industrial area in or around it's downtown, not even Portland is immune to this. 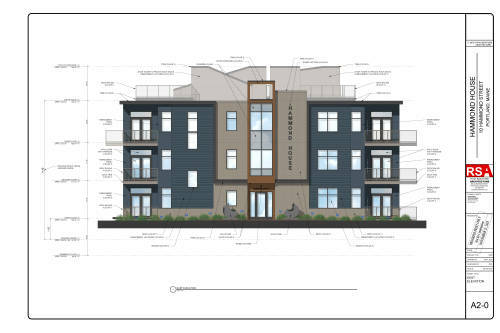 ^ I'm having some doubts whether the 75 Chestnut apartment building is going to get built. Thanks for the update cneal, do you know how the Fore Street garage/offices project is progressing? Haven't had a chance to visit the east end in a few weeks. If you look at his website, he has no comparable projects completed -- it's just nice pictures of dreams. It appears that he was a contractor in Massachusetts and worked on a few buildings, and that's all. It's one thing to be hired to build something, and then another to run the entire project raising money. Not happening, none of it. Rode my bike down Fore Street today, actually, and noticed that Consigli Construction has got part of the Portland Company site fenced off. Checking the city's building permits, it looks like they're about to get their demolition permit on the "non-contributing" buildings at the western end of the Portland Co. site, which includes dismantling "building 12" to re-assemble it later closer to the waterfront. It seems like they're trying to fan the flames a bit on their own project, which has only just recently started to see some site activity. I know they've gone back and forth a bit with the planning board with a few changes on the design of Verdante, but it looks like they're moving forward and advertising for summer 2020 occupancy. I was walking around the new WEX building over the weekend and it really is astounding how much development is going on in this area, how different it looks from 5 years ago and how much different it's going to look 5 years from now. 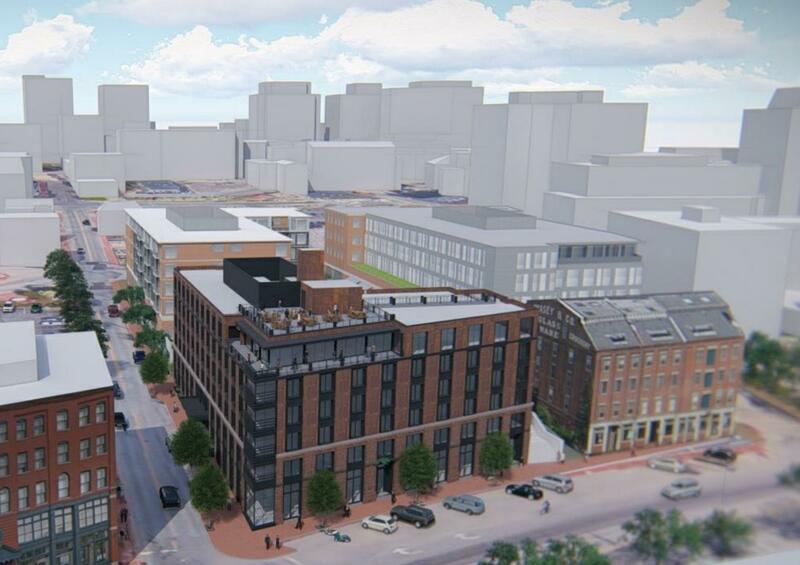 The WEX building and 20 Thames have created a new street wall in this area, and the plans for 5 India Street have already gone before the planning board. That will leave only one building left to develop on that block (supposed to be a 7 story building opposite the parking garage). There's all sorts of equipment and site work going on just east of WEX. I think some of it is city work related to the extension of Thames Street, some of it is related to the Portland Foreside marina and other development, some of it may be very preliminary work on the 100 Fore Street development. And then the whole Covetrus / Shipyard site is just massive. It's almost dizzying. And if the whole Portland Foreside development were to happen as they've envisioned in their master plan... woah, it'd be a whole different world down there. The massive parking garage on Brown & Cumberland is nearing completion...and site work is well underway at the Hobson Landing / Rufus Deering Site! By the way I was at Tandem Bakery this morning (which just reopened after a bit of a redesign) and noticed that the former Gulf gas station next door had some site working going on. I didn't look closely but it appeared the gas pumps and related infrastructure were being removed. Anyone have any idea what's going on there? I don't see any info on the city's website. The gas pumps haven't worked in years, and there's been almost no signage on the building, it's been very strange. 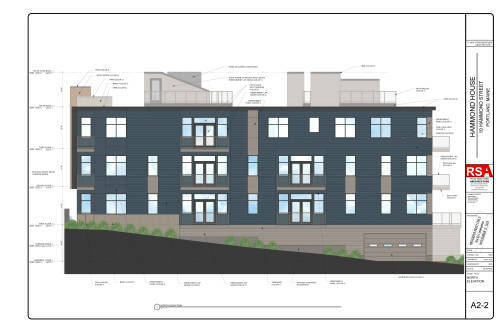 the low-density affordable housing complex on Fore St. at the base of Munjoy hill has been sold to a developer who is exploring redevelopment options for the site. “I know the new ownership is looking at the future potential for that site, and they have contacted us for some informal discussions,” Levine said. “We have reminded them that there are affordability restrictions on the site. Our primary concern is preserving the affordable housing Munjoy South provides for Portland residents.